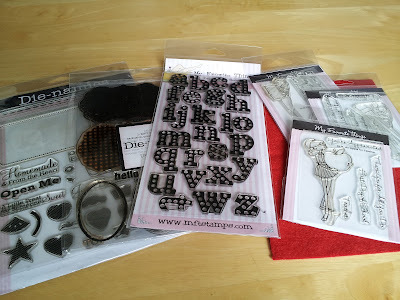 My Favorite Things is having a guest designer contest right now. The winner chosen will be able to participate on the design team for the month of June. 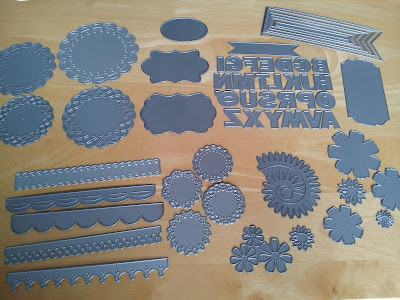 I decided that I would give it a shot and created a bunch of fun products using MFT stamps and dies. It was a ton of fun! 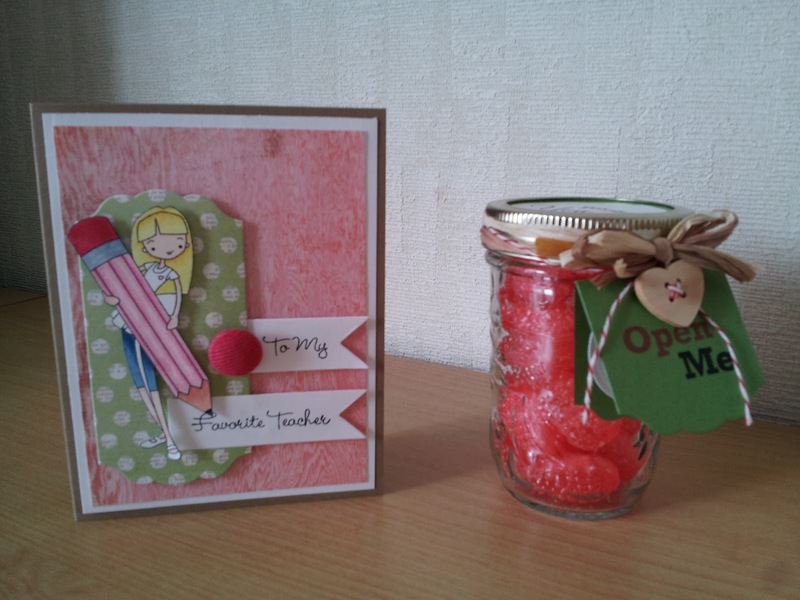 The theme was ``Teacher's Pet'', so I thought of things that could be used at school as well as gifts that could be given to the teacher. 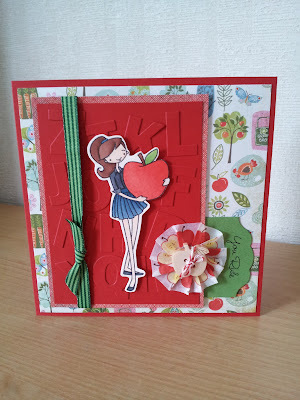 First I created a simple and cute card. 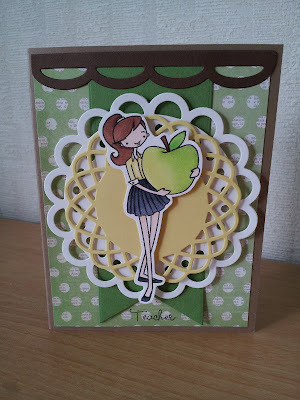 I love how I made the apple green to match the card. Isn't this teacher's skirt a bit short? I created a matching banner to be displayed at school. 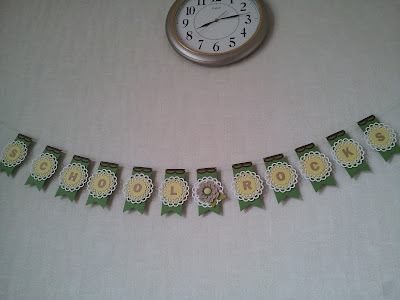 I used my new Fishtail Flags Stax and cut 13 of everything (one more for my card) and trimmed them to 5 inches to make a perfect banner. Next, I made a candy jar as a teacher's gift. So happy I found these strawberry candies. I made a card to match. My first blonde girl (seriously!). 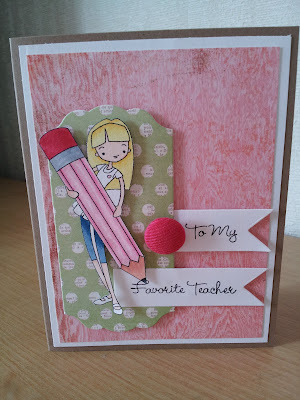 I had fun playing with my By the Letter Uppercase die and used them on a card as well as a clipboard. 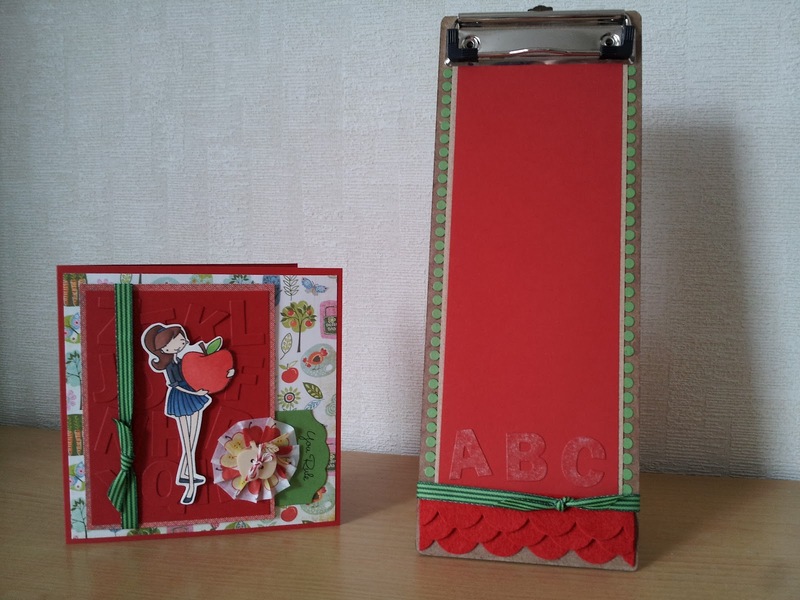 the clipboard was a lot of fun to make. 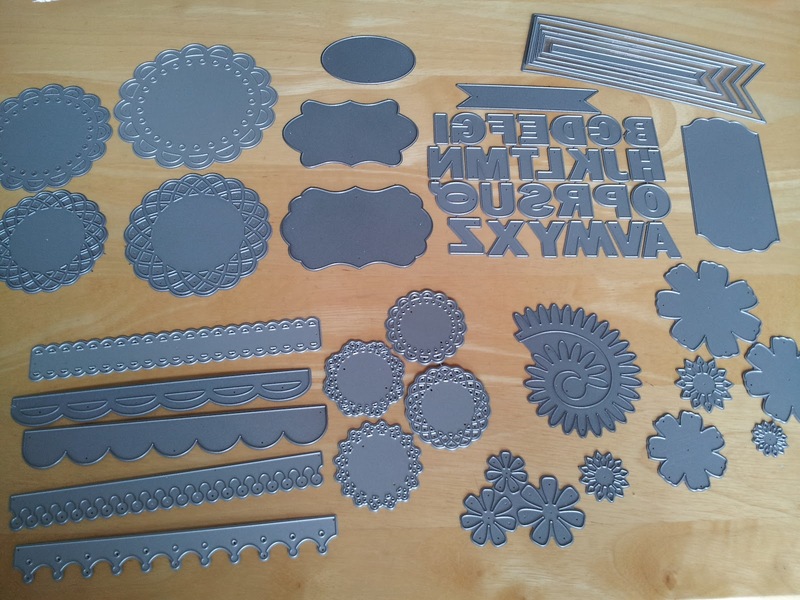 Love the MFT felt which I used for the scallop trim. It's so soft and cuts really easily. 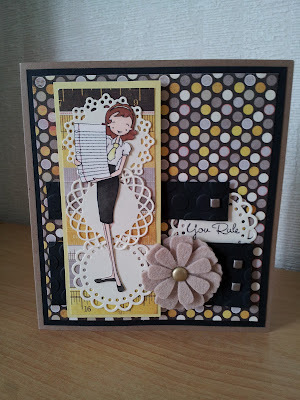 I had fun using my new mini doily circles to alter a notepad and make a super sweet card. 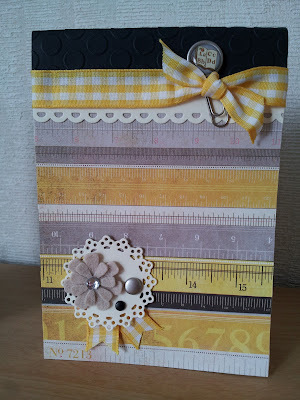 This yellow and black combination is so pretty. My last project was using an older stamp, Bling Bet, which I chose not to add bling to, lol. I really wanted to add rhinestones, but liked how it looked without them. 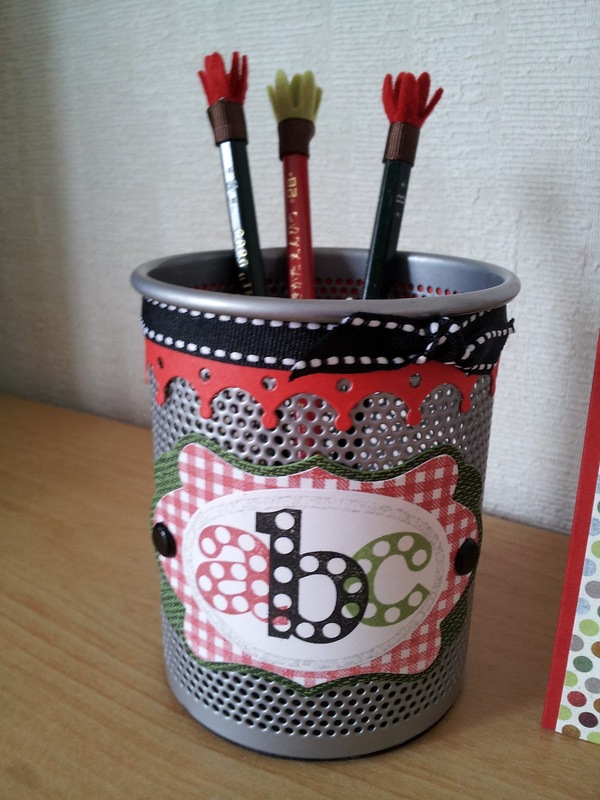 For my pencil holder, I used my rolled daisy die and added a tiny topper to the pencil heads. Aren't they cute? I hope you enjoy these projects. I super enjoyed participating!!! BTW, I sent you a email before did you get it? Good luck on your designer contest!! 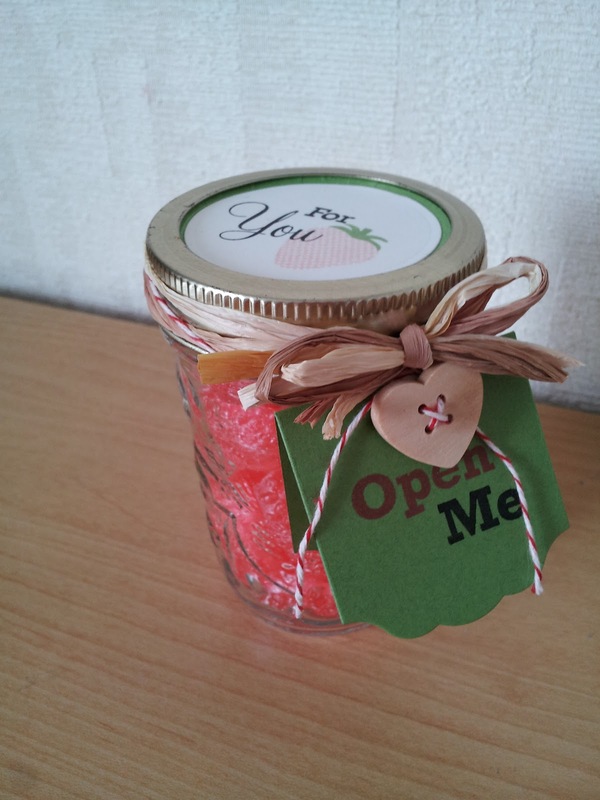 Thank you so much, Mariko!! You're English is really good. I still make many, many mistakes in Japanese...but I hope to improve. 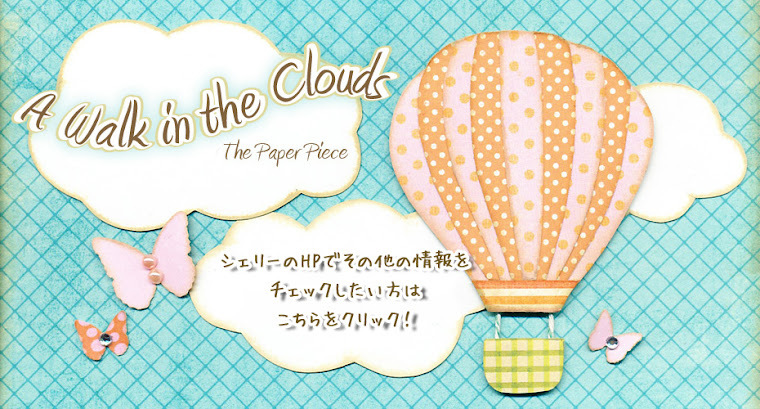 I think a lot of people in Japan will like scrapbooking, so I know it will be a big hit in the future. Until then, let's keep scrapping and sharing our skills with others. (^_~)/ I replied to your email too. Thanks again.